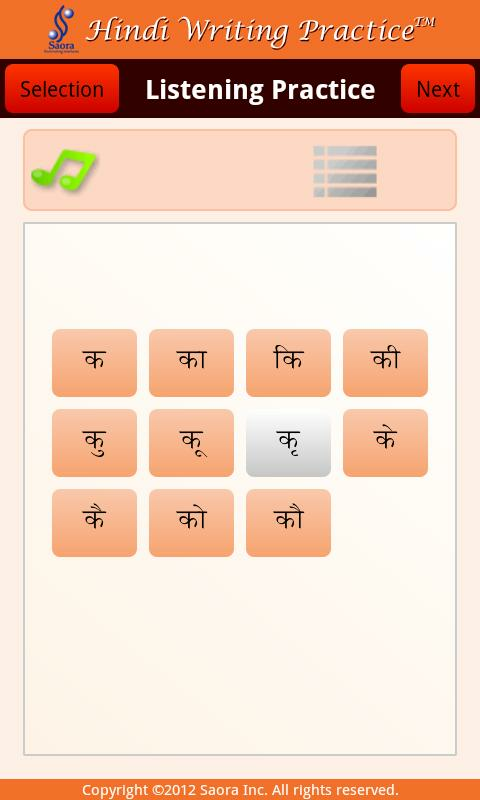 Hindi Writing Practice is an education app for learning the Hindi script. It provides three modes: Writing Practice, Listening Practice and Exercise. Writing Practice lets you study each letter at a time, Listening Practice gives you for each (audible) letter its pronunciation, while Exercise dictates you a word which you are to write. 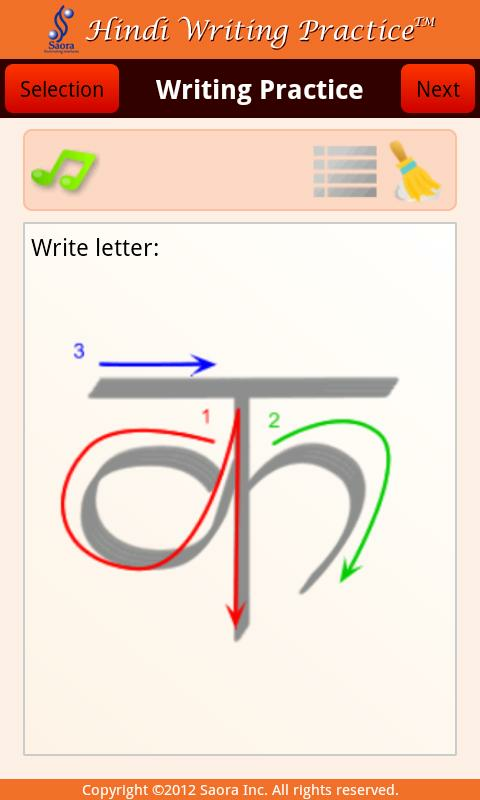 The vocabulary provided cover most letter combinations used in the Hindi script. Beautiful	Very beautifully made, nice graphics, clear sounds. The demo, however, has only minimum data to show the functionality. But it's well made.